Do you have swollen eyes, runny nose, sore throat? 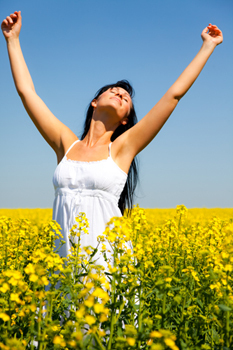 Do you think you may react to pollen in the air? It's OK - Bee pollen is different. 1000s of hayfever sufferers swear by it. Why not try a delicious and wholesome pollen honey formulation. 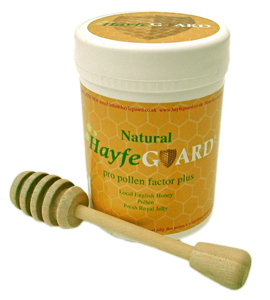 HayfeGUARD® Local Honey is a pure and natural set honey base compound. Professional beekeepers since 1924, we have perfected a high strength honey, pollen and royal jelly formulation. We use our fresh local, unpasturised and coarse filtered honey, adding thousands of pollen grains & fresh royal jelly. Supermarket honey will not be the same, as many heat treat the honey, killing the pollen, and most likely the honey is sourced from outside the UK. Disclaimer: This is a food product, not a medicine or nutritional supplement which are not meant to treat, heal or cure any disease. HayfeGuard provides a natural wholesome food product. We always advise a sensible well rounded diet, rich in nutrients and we do not intend to imply that its products will cure any disease.